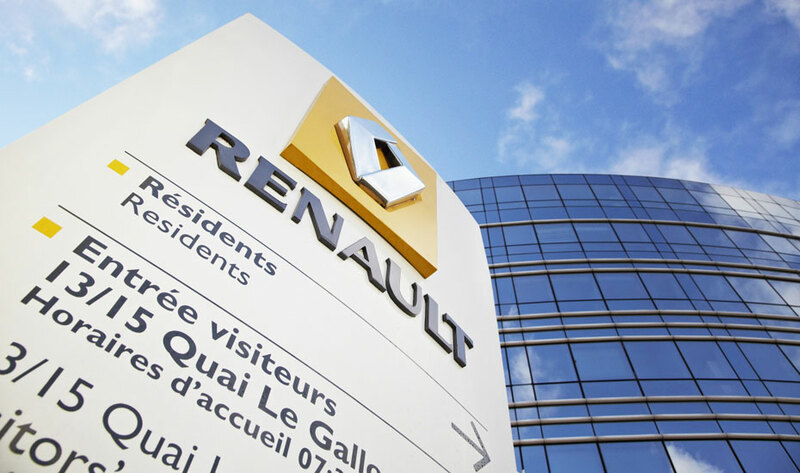 The RENAULT Group presented H1 Financial results on 30 July 2015, and we wanted to take this opportunity to ask five questions to our VP Finance Head of Investor Relations to have a "digest" feedback for our blog readers. What is your initial reaction to the announcement, on Thursday 30 July, of Renault's financial results for the first half of 2015? Our results are satisfactory, and confirm the company's sound state of health. Growth is steeper and operating margin is on the rise, proving that we are well on track to profitable growth. That doesn't, of course, mean everything is perfect: the situation on our main emerging markets continues to warrant close attention. The figures are in line with our investors' expectations, and won't come as a surprise. They substantiate investors' trust in our capacity to meet, and exceed, our objectives. New vehicle registrations continue to fall on some emerging markets, such as Russia (down by nearly 41%) and Brazil (19 %). What is the reason for this ongoing situation, and how does it affect Renault? Situations are indeed difficult in both these countries, but for different reasons. The Russian economy is heavily dependent on oil and gas sales, and prices are falling. Then these difficulties are exacerbated by economic sanctions. The situation in Brazil is different; here, the economic difficulties stem chiefly from heavy household debt, falling competitive performance, and rising unemployment. Renault sales in both Russia and Brazil are fairly consistent with overall market trends there. Obviously, we are taking economic measures in response to the situation. 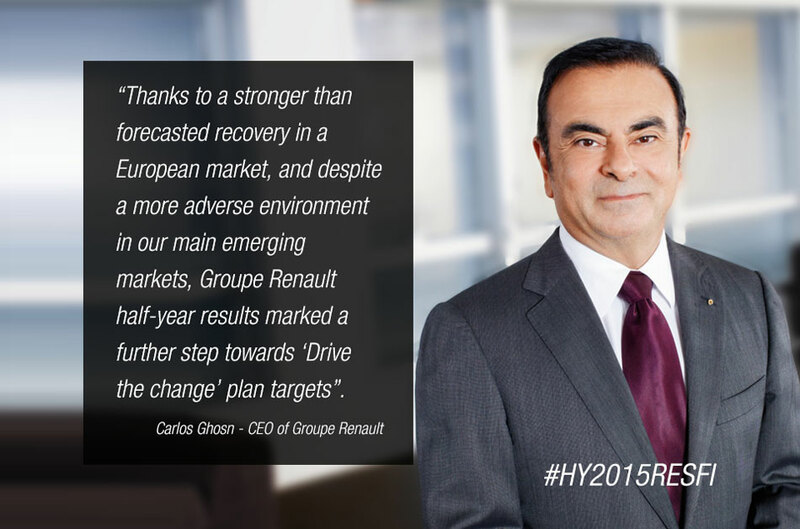 The steepest growth figures for Groupe Renault sales on its main European markets come from Spain and Italy. How do you explain strong sales in these countries, where unemployment remains high (despite the slight improvement in recent months)? Our cars are indeed doing very well in these countries, because their design and performance meet customers' expectations here. Sales also benefit from an upward market trend. Then we should bear in mind that these markets had suffered dramatic shrinkage during the euro crisis. In Spain, for example, the market had peaked at 1.6 million vehicles before collapsing to around 0.6 million at the depth of the crisis. We're still quite a way off the previous peak levels. From a share-price point of view, what exactly do you mean by “net income”, “minority interests” and “group share”? When we close the accounts we get an initial “net income” value, which is the sum of all the profits from all the companies consolidated in the Renault group. Now some companies are not wholly owned by Renault, but have minority shareholders as well. For example, RSM is owned 80% by Renault and 20% by Samsung. 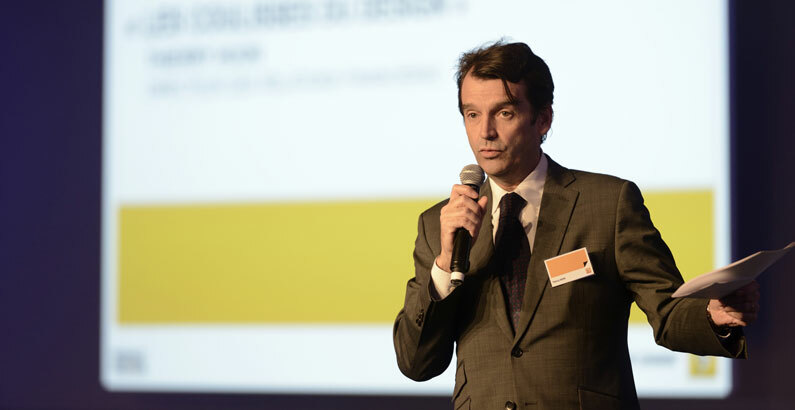 So Renault shareholders benefit from 80% of RSM profits rather than the full 100%. The remaining 20% are what we call “minority interests”. Once we subtract all the minority interests from the overall net income, we get what we call the “group share”. This is what goes to the Renault shareholders, and it's the basis for their valuation calculations. What are the challenges facing a VP Finance Head of Investor Relations with an automotive company in 2015? The primary mission in investor relations is to develop a trust-based relationship between the company and its shareholders. This involves keeping them fully informed on the company's situation, in strict compliance with all regulatory requirements. One of the specific challenges that this mission entails is to help investors understand that the automotive industry undergoes very long cycles, and that company management must fully and properly accommodate social and economic responsibilities.